Given the many challenges of marketing indie novels in a wild and crazy industry teeming with books of every kind, I’m always grateful for those who step up with true interest and awareness of what I’m doing as a writer. It’s gratifying to not only get noticed in the literary tsunami, but get pulled out for recognition and a little conversation. My debut novel, After the Sucker Punch, was awarded an indieBRAG Medallion last year and that honor triggered a lot of media attention and a spate of new readers who might not have heard of the book otherwise. 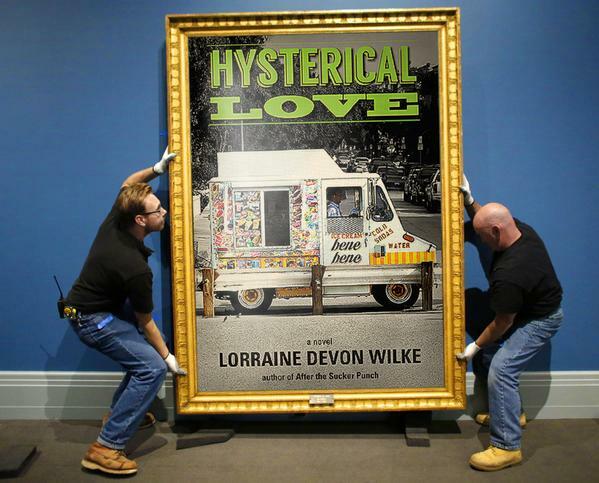 So when, this year, Hysterical Love was awarded that same honor, I felt doubly fortunate. They’re a great organization run by a strong leader, Geri Clouston, with an able and enthusiastic ambassador in Stephanie Hopkins, who is indefatigable in her efforts to promote indieBRAG authors and their books. Toward that end, she invited me to sit down with her to have a chat specifically about Hysterical Love, as well as my general writing process. Thank you, Stephanie; I enjoyed the conversation, always delighted when my books strike a chord! Congratulations, Lorraine! Great news. Hope it brings you many more good things. Thank you, Tara! Very sweet of you to say and I hope so too!